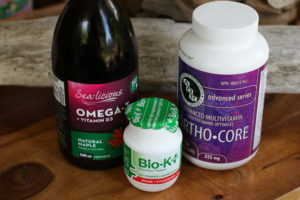 For most everyone, our team of nutritionists and integrative pharmacist consider the following three supplements safe and acceptable for daily use. Multivitamins are generally safe because they provide nutrients in a balanced form, as opposed to just isolating one or two nutrients and providing them in high doses. Taking a multivitamin is no replacement for a healthy diet however – instead, it should be used to bridge any nutrient gaps and support general health. Be sure to read the entire label and make sure all the ingredients pass the supplement safety guide. Our personal favourite is AOR’s Ortho-Core because it provides a broad spectrum of vitamins and minerals and also contains a range of phytonutrients for added antioxidant support. We also love that it’s formulated with superior quality nutrients and that the dosages are balanced based on scientific studies, ensuring that the nutrients work synergistically towards optimal health. *If you are a healthy male choose a supplement without iron because too much can cause iron overload. According to the National Institute of Health, it is safe for almost everyone to consume up to 3 grams of fish oil (that is certified free of contaminants) per day. Fish oil is safe because it comes from food and provides omega-3s, which is a nutrient almost everyone can benefit from. Supplementing with fish oil may reduce the risk for heart disease, depression, dementia, rheumatoid arthritis, IBD and skin disorders. 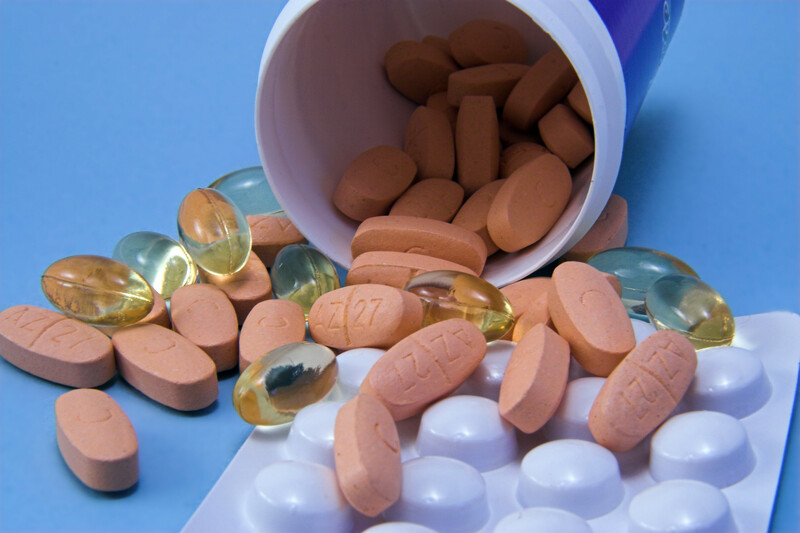 Choose a supplement that is high in DHA and EPA (aim for a total of 1,000 mg/day of the two) and that includes antioxidants such as vitamin E to prevent rancidity. We recommend SeaLicious, not only because it’s the best tasting fish oil we’ve ever tried, but also because it is high in DHA and EPA, has no artificial additives, contains the powerful antioxidant–astaxanthin, and has natural triglyceride oil added to ensure freshness and stability. For more information on SeaLicious and the benefits of omega-3s check out our guest blog Supplementing Your Omega-s.
*Fish oil is contraindicated if you have a blood clotting disorder, are on anti-coagulant drugs, or are about to undergo surgery. Probiotics are safe because they don’t compete for absorption with other nutrients in your body, instead they help enhance the absorption of certain nutrients and replenish the beneficial bacteria that you already have in your gut. Taking probiotics can help restore normal bowel function and may also help reduce allergies, prevent yeast infections, heal eczema and dermatitis, treat symptoms of IBD, and boost the immune system. For maximum effectiveness, make sure to choose a high quality probiotic. Our probiotic brand of choice is Bio-K+ because their patented probiotic formulation is supported by clinical trials which have proven that it helps promote and maintain good health and balance within the digestive system. Plus all of their products undergo rigorous quality control and quality assurance testing and they even have a dairy free line of probiotics for those who can’t tolerate dairy. *Take probiotics two hours before or after antibiotics and if you have an immunodeficiency disorder, or are on chemotherapy drugs, speak to your doctor before taking them. myWholeLife’s philosophy is ideal for anyone looking to achieve optimum health with diet, nutrition, supplement, and lifestyle advice that is science-based and proven so you can trust it, naturally.